Using naturally derived ingredients, these powerful Epionce peels deliver maximum effect with minimal disruption to the skin which means no downtime for you. The Epionce Corrective Peel is a more advanced treatment and is formulated to improve the appearance and texture of the skin by increasing cell turnover to reduce the appearance of fine lines, wrinkles and sun damage. The treatment can be varied in strength and intensity thereby customised to your individual needs. The corrective peel produces optimal results as a course of six and requires using Epionce products two weeks prior to the treatment taking place. The daily use of Epionce home care products in conjunction with Epionce Skin peels will enhance and maximise your results. A combination of Microdermabrasion and Epionce skin peels can often add further benefits to your skin. This will be discussed during your free consultation. What are the benefits of a skin peel? The Epionce skin peels and product range is suitable for all skin types. The benefits of a skin peel include. How does Epionce skin peels work? As the skin barrier naturally sheds and renews itself, it can become clogged with oils and dead skin leaving a dull appearance. Chemical peels work to remove the dull top layers by penetrating pores to reduce inflammation and reveal radiant, healthy skin. Downtime and discomfort are very minimal with Epionce professional peels, and most patients are able to use regular skin products within a few hours. Yes. All our treatments are carried out by fully qualified practitioners who have an excellent understanding and background knowledge of Epionce treatments and products. 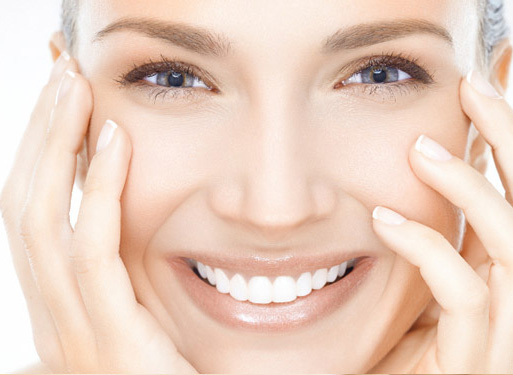 Before you begin your treatment, you will have a full consultation and thorough skin analysis. As with any treatment there may be some minor discomfort involved. You may experience a tingly yet tolerable stinging sensation, which is short lived and will disappear within 24 hours. During your consultation we will assess your skin type and plan a tailor made programme that will offer you optimum results to suit your needs. On average we recommend a course of 6 treatments and these need to be approximately two weeks apart. It is generally expected that some result may be seen between 3-6 treatments, and a more significant result is hoped to be achieved between 6-18 treatments, however this may vary depending on the skin condition. The treatment takes on average about half hour, 45 minutes if you choose to go ahead with the Microdermabrasion as well. Can I continue using the products I am already using at home? To see maximum benefits from treatment, we recommend a regime that you should follow at home. Epionce products are designed to work in synergy. They are not suitable for mixing with other skincare regimes as they may cause irritation. Your practitioner will carry out a thorough skin analysis and recommend a suitable home care plan for you to use at home. What should I do before a skin peel? What are the after effects of a skin peel? Is there anything I should do following a skin peel? Is there anything I should avoid after a skin peel? If you have any concerns or questions regarding skin peel treatments please do not hesitate to contact us on 01908 395 031. Below you’ll find a selection of the wonderful things people have to say concerning our Milton Keynes Skin Peels services. By the age of 39 years old, I was hoping to have grown out of the spotty stage of life, but it wasn’t the case for me. I was rather sceptical about skin peels and product ranges after already trying so many, but after one treatment I saw an improvement. The staff have been extremely sympathetic and informative. I am so glad I gave it a go. WOW !- Half price maintenance sessions, after a course of 6 treatments. Bodilight is the only clinic offering reduced price maintenance treatments! Complete a recommended course of 6 of the same treatment and be assured that all future sessions will be charged at no more than half of the original cost of treatment.